Intel has announced that it will be retiring the Atom x5-Z8100P, the CPU used in the Microsoft HoloLens, by end of October this year. With Microsoft likely being the only customer using this SoC, it could have very well been the EOL initiator for these CPUs. Intel will soon be retiring the Atom x5-Z8100P 'Cherry Trail' SoC, which currently powers the Microsoft HoloLens mixed reality headset. Intel has asked its customers (which in all likelihood, could be just Microsoft) to place their orders for this SoC before September 30 this year so that it can ship these chips before October 30. Unlike other members of the Atom x5 family such as the Z8300, Z8350 and the Z8500, this is a semi-custom SoC designed by Intel for the HoloLens. This could very well mean that the development of HoloLens 2.0 is on track. The original HoloLens featured the Atom x5-Z8100P SoC to run the Windows 10 OS as well as a custom-designed Holographic Processing Unit (HPU) that helped in assimilating data from various sensors onboard. Microsoft said in a blog post that it is actively working on a second version of the HoloLens that will feature a new HPU along with an AI co-processor that uses deep neural networks (DNNs) for object and voice recognition without the need for an internet connection or external power. 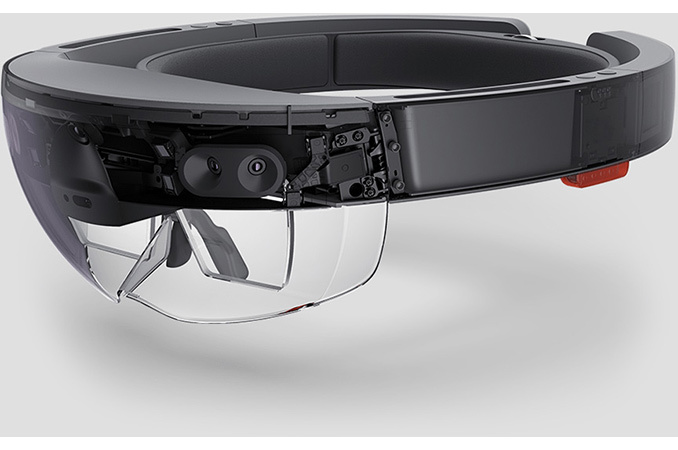 It is however, not yet known what sort of CPU will be powering HoloLens 2.0. With full Windows 10 now natively running on ARM chips, the next HoloLens could very well use a custom ARM processor. But with the vast processing power needed for holographic computing, Microsoft could still root for an x86 CPU. Microsoft demoed an early version of HPU 2.0 at the Computer Vision and Pattern Recognition (CVPR) 2017 event in late July this year. At same event, Intel showed off its Neural Compute Stick that can turn virtually any PC with a USB 3.0 port into a DNN node. Mixed reality implemented together with AI is a potent combination that can have myriad uses. We will know more as Microsoft continues to iterate upon its HoloLens technology and hopefully, readies it for mass adoption.